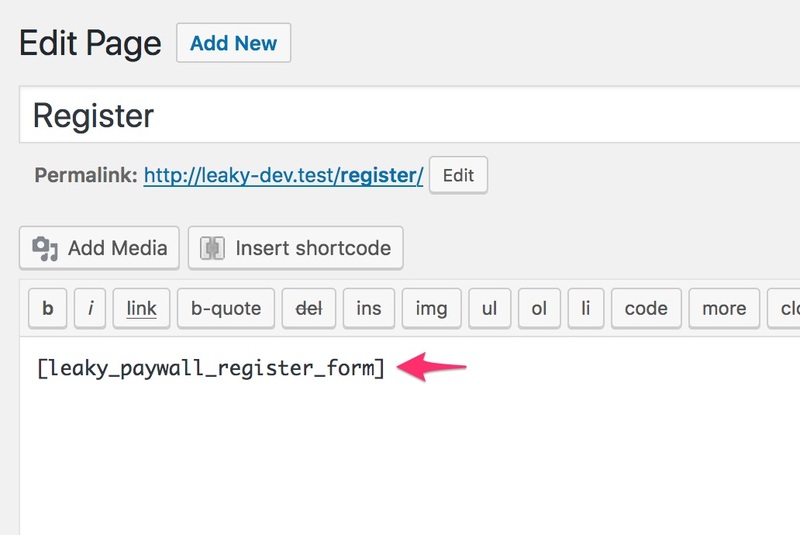 After installing the plugin, follow the steps below to begin using Leaky Paywall on your site. In the WordPress admin, go to Leaky Paywall > Settings > General. 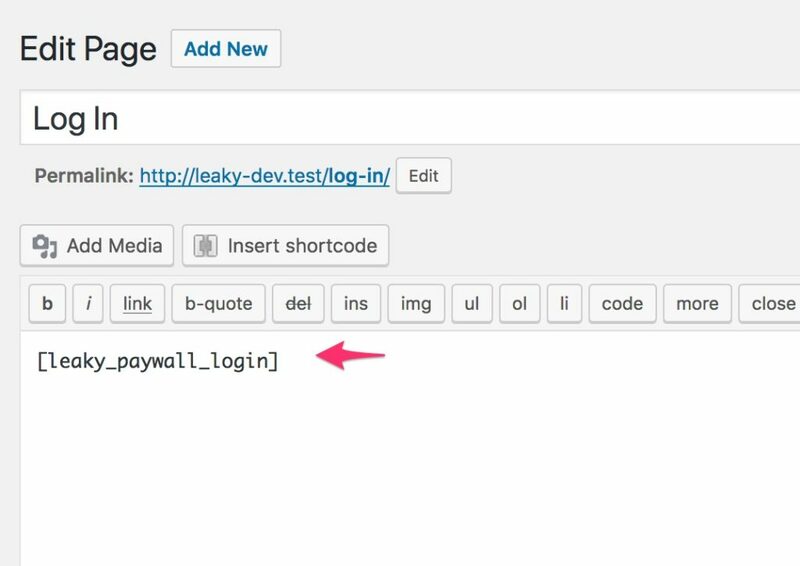 Add the shortcode [leaky_paywall_login] to your login page and on the Leaky Paywall options select the page from the Page for Log In dropdown. 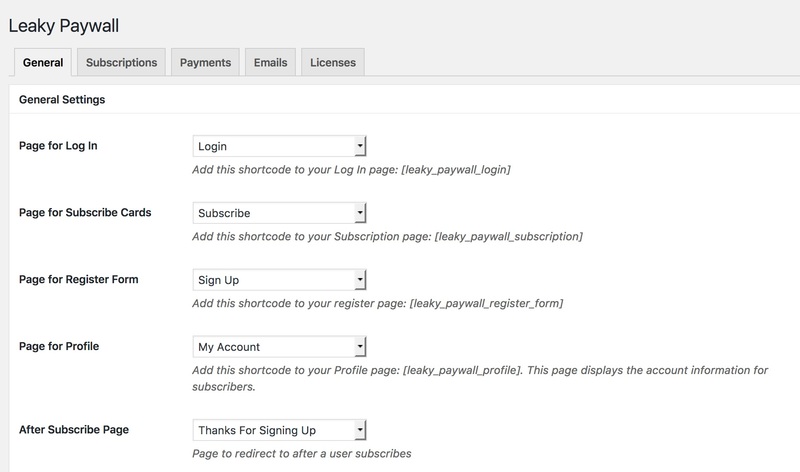 Add the shortcode [leaky_paywall_subscription] to your subscription page and on the Leaky Paywall options select the page from the Page for Subscription dropdown. 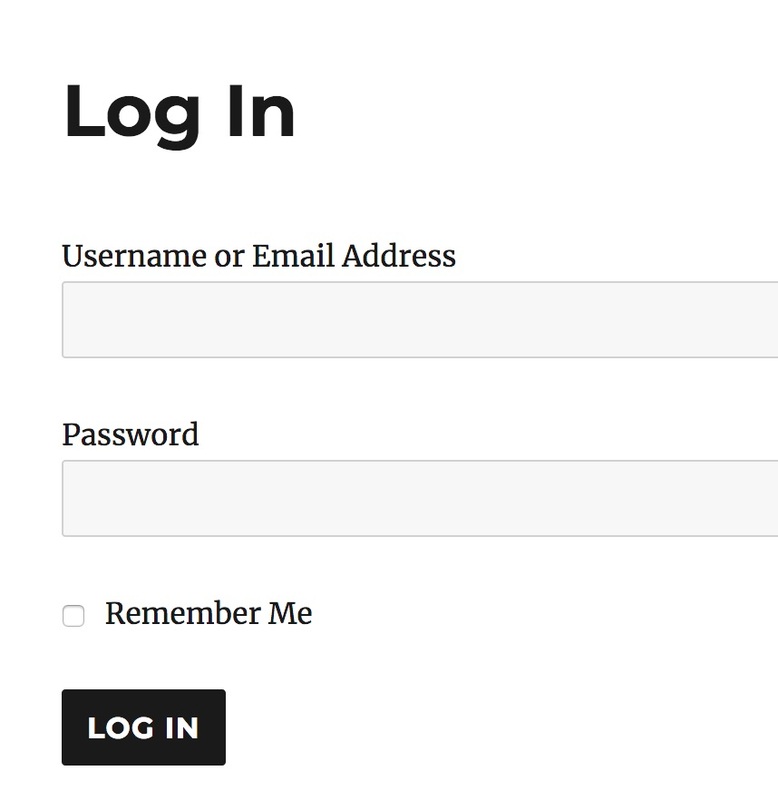 If you will be using the registration form, add the shortcode [leaky_paywall_register_form] to your register page and on the Leaky Paywall options select the page from the Page for Register dropdown. 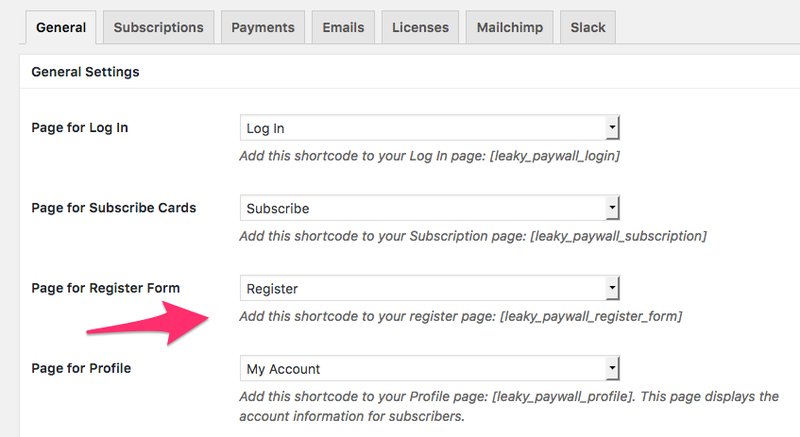 Add the shortcode [leaky_paywall_profile] to your my profile page and on the Leaky Paywall options select the page from the Page for Profile dropdown. 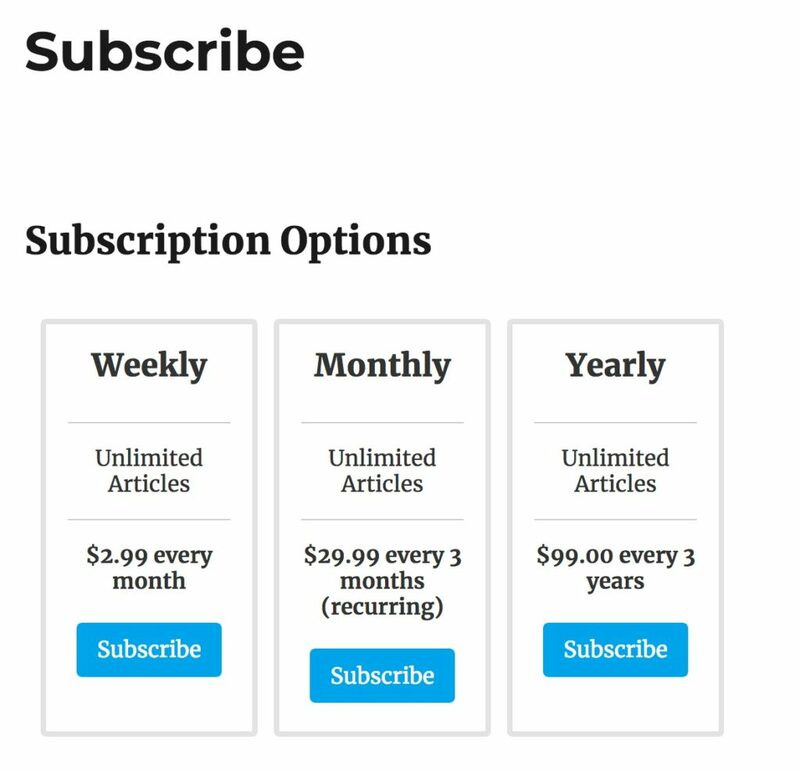 If using multisite, the My Account page will also show all current subscriptions that a subscriber has running in one spot regardless of which publication they are visiting. Update their credit card info with Stripe. PayPal simply links them to PayPal. You could place them in your main menu or a sidebar widget. Choose the type of content to restrict and how many views are allowed. For more detailed information on our content restrictions and how they work, please view our article ‘How Leaky Paywall’s Content Restrictions Work‘. When a user hits their article limit, they will see the the subscribe nag with a message to subscribe or login. 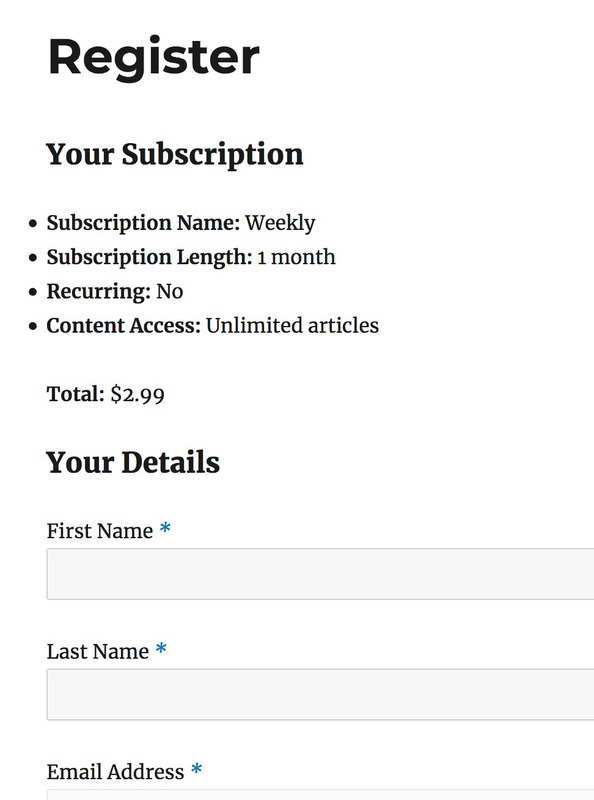 Set the name of the subscription level, if it will be recurring (or one time), the price of the subscription in dollars, the subscription length, and what the user has access to with the subscription level. 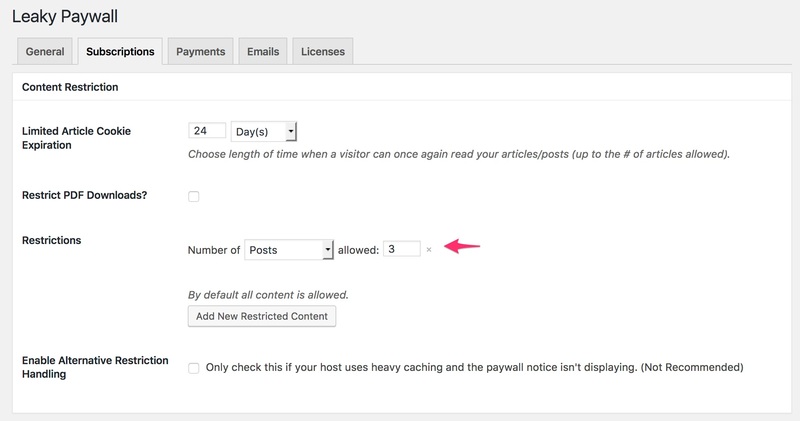 You can add multiple access options by clicking on “Add New Post Type”. You can create as many levels as you need using our Multiple Levels add-on. 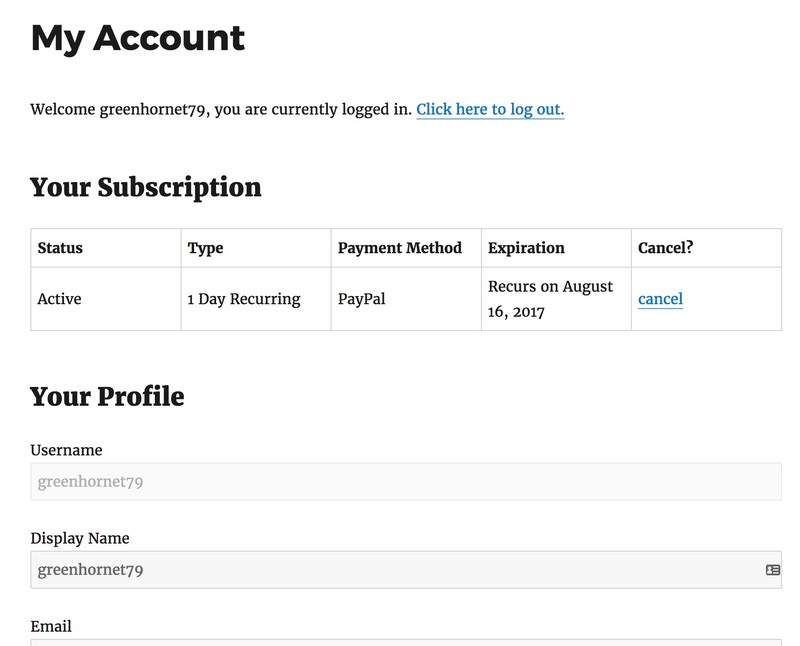 You can create recurring subscriptions using our Recurring Payments add-on. Choose Stripe, Paypal Standard, or both. Enter the API keys from your Stripe and/or Paypal accounts. 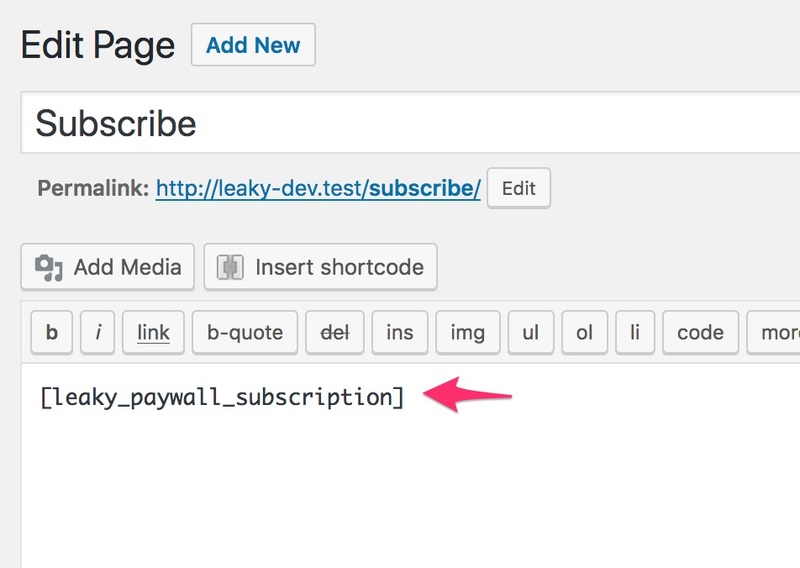 This is needed in order to ensure Leaky Paywall knows when a new payment has been made. 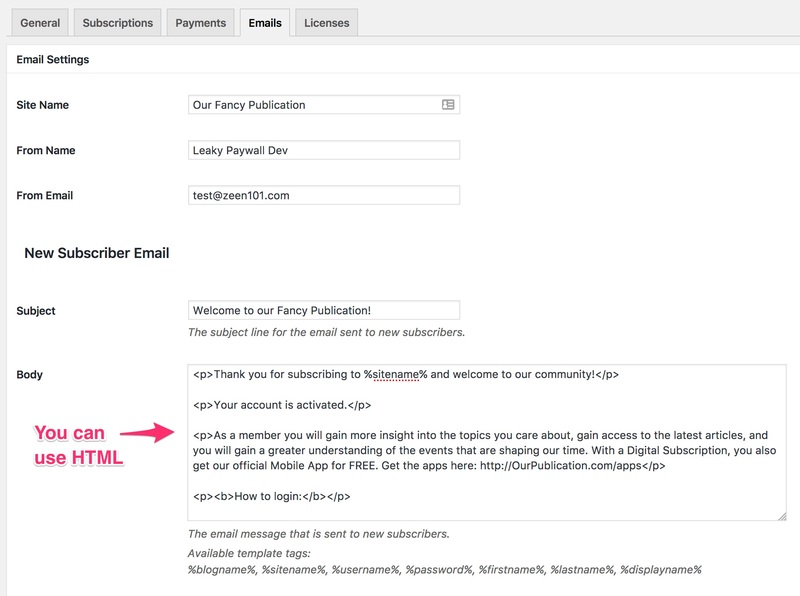 Then, in Leaky Paywall General settings select your registration page as the Page For Register Form setting. New subscribers will get a custom message from you. You can use HTML for a fancier email if you like. Note: Stripe requires a $0.50 minimum transaction to trigger welcome messages. New subscribers will redirect to the page of your choosing. 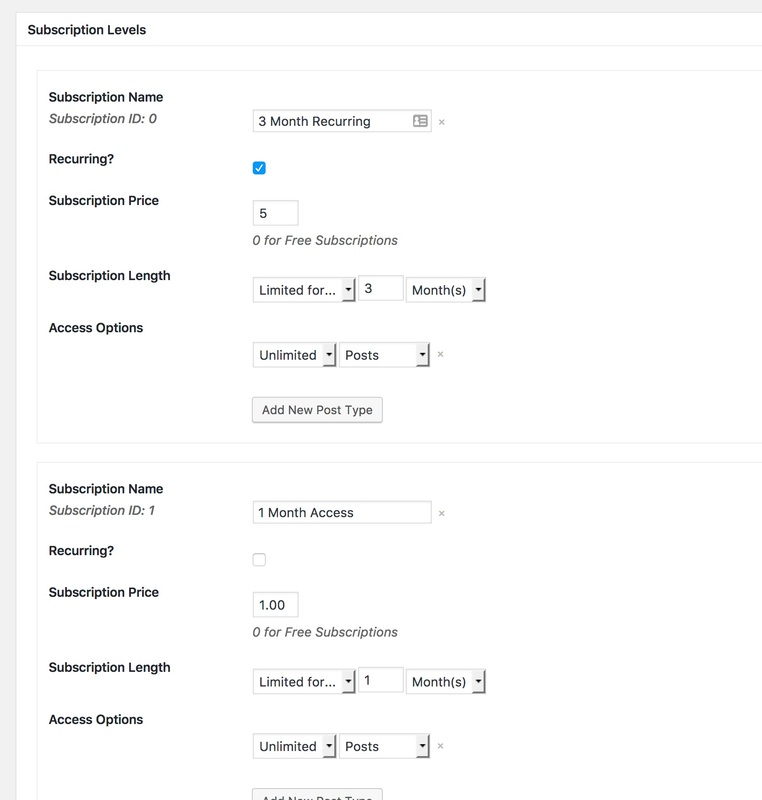 A good choice is to select the My Account page to go to after a new subscriber signs up.